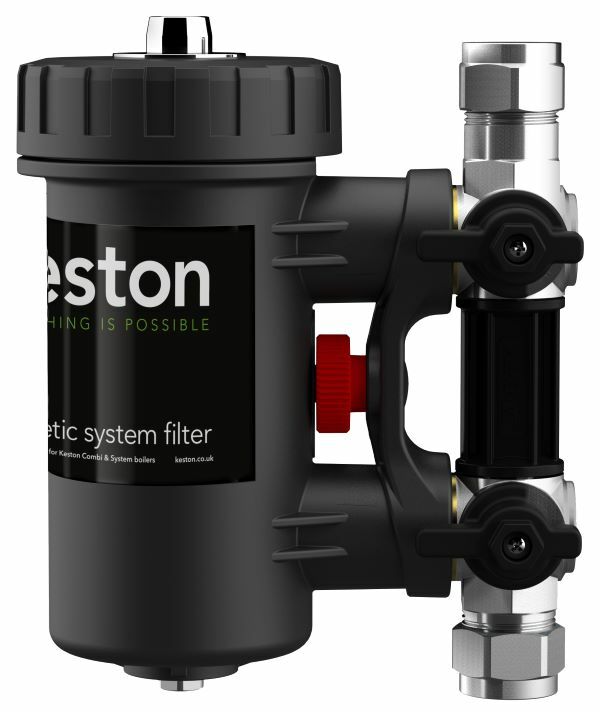 Keston Boilers are proud to announce an improved version of their Keston 22mm System Filter. Developed with market leaders Adey, the 22mm System Filter is for use with Keston Combi and System boilers. By installing and registering the new 22mm System Filter with a Keston Combi or System boiler, the standard 5 year boiler warranty will be extended to 7 years*. Full terms and conditions can be seen here. Registration can be done on Keston’s website (www.keston.co.uk), Installer Connect (www.installerconnect.com or via the app) or over the telephone (01482 443005).